our neighbour, tony, gave us a young fig tree last year which successfully rooted. alas it produced only one fig this year but promises greater abundance next year as it has several immature figs spread about its branches. i split it 50/50 with my partner. it was delicious. happily, tony’s wife dora gives us enough of theirs to keep us content. 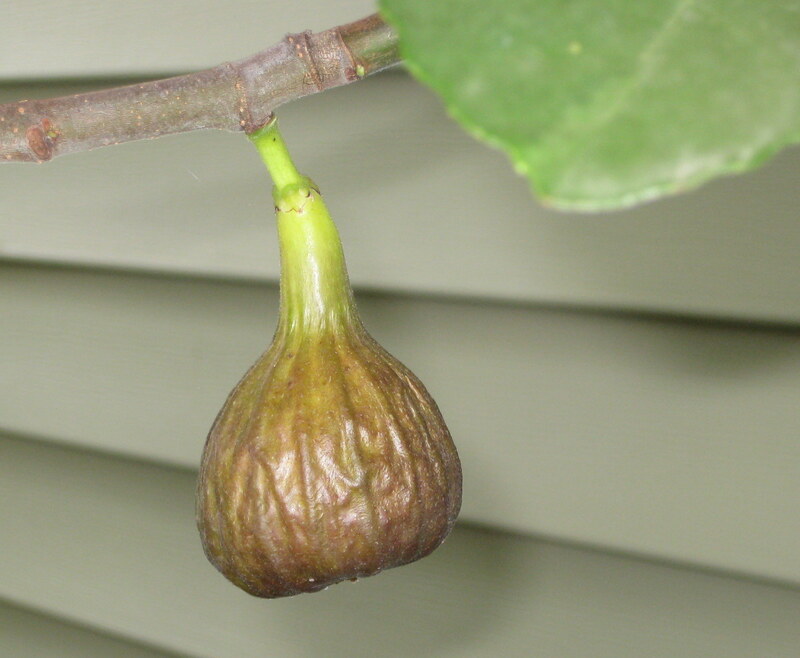 We also have a first year fig–so exciting to see it actually produced a fruit! Can’t wait for next year! Good luck with your tree!